Le Studio Plastique is a digital photo gallery that specializes in Japanese monster toy photography. 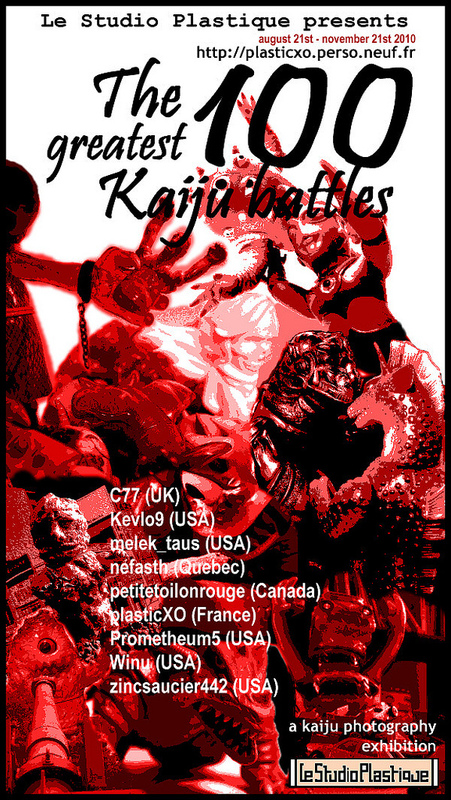 There have been a number of themed exhibits so far, and the next one is The 100 Greatest Kaiju Battles, which I contributed to. Look for the full exhibit soon! « Killer Culture Invades the East Coast Chogokin Summit!